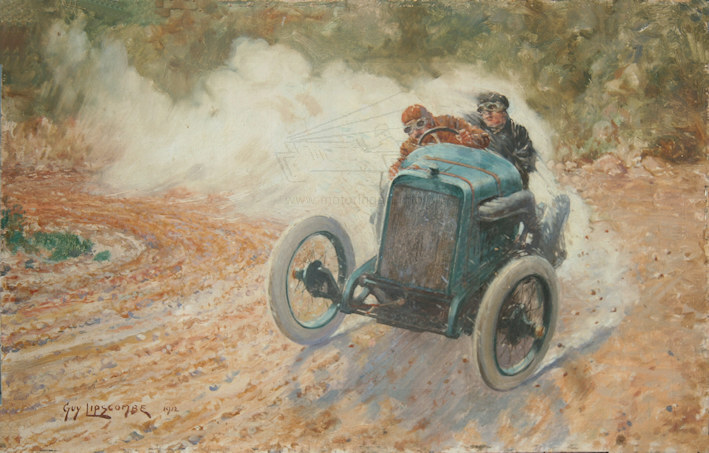 Guy Lipscombe was probably one of the first UK artists to specialise in motoring. 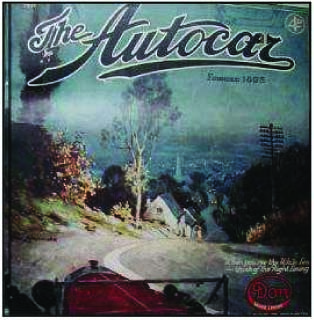 D B Tubbs in his authoritative work on motoring artists ‘Art and the Automobile’ says that Lipscombe was employed in 1903 by Temple Press to take charge of the art department at The Motor. This is slightly surprising for a young man of 22 so he must have already established himself in the art world. Tubbs also quoted his date of birth as 1883 (which would only make him 20 years old). However, the date used above of 1881 comes from the Imperial War Museum. 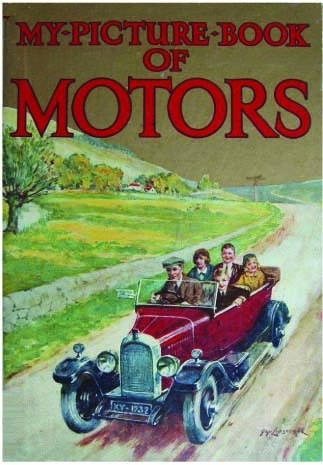 The Motor was founded in January 1902 so it was very much in its infancy when Guy Lipscombe joined them. The Motor at this date carried very few art illustrations however by 1907 we see the magazine starting to issue free colour prints. 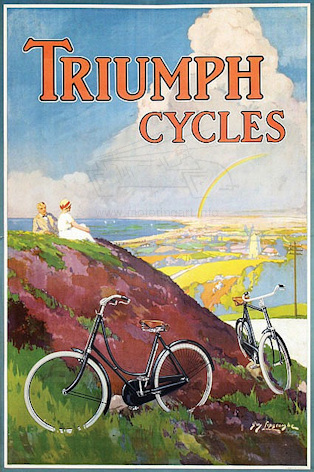 The art of Guy Lipscombe was used for one of these issued on the 14th November 1907. 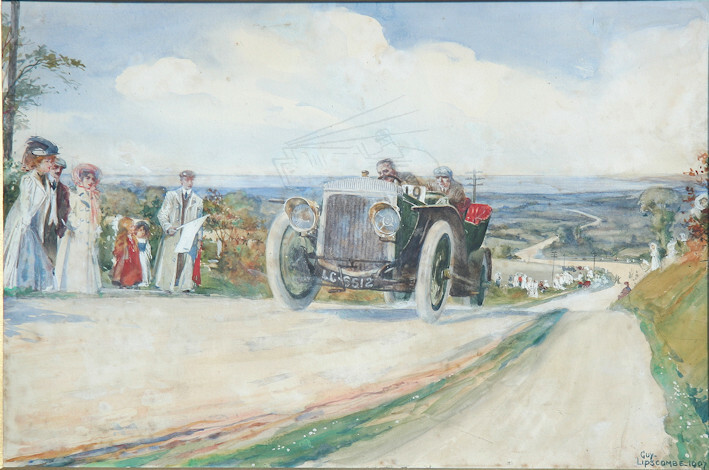 Three prints were issued entitled ‘The Hill Climb’, ‘The Race’ and ‘The Rally’. The subject of ‘The Hill Climb’ shows an early large Daimler at a speed climb with a flag marshal in the background. The original watercolour survives today. The other major early work of Lipscombe to survive is the very large oil painting that hangs on the stairs of the RAC Club in London. 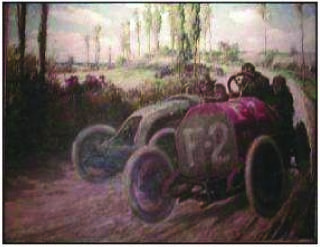 This is a scene of the racing cars of Nazzaro (Fiat) and Richez (Renault) battling for the lead in the 1907 French Grand Prix at Dieppe. This work is truly magnificent and it is a wonder that it has not been depicted more in texts about automobile art. The painting ranks with anything famed continental artists produced. 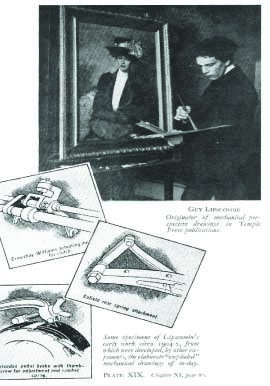 In the book (From Bouverie Street to Bowling Green Lane) about the history of Temple Press there is a photograph of Guy Lipscombe and underneath there is a claim that he was the originator of mechanical prospective drawing in Temple Press and it gives some examples of his technical art from around 1904/5. 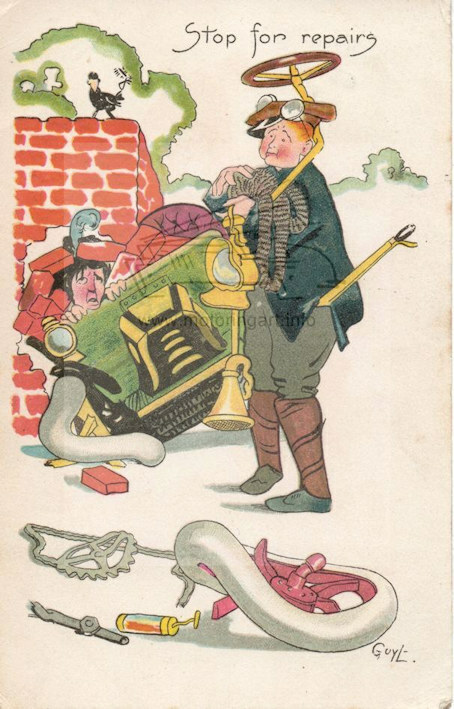 During the First World War Guy Lipscombe was a War Artist and went with the troops to Italy and Gallipoli. There are examples of his work in the Imperial War Museum art collection. 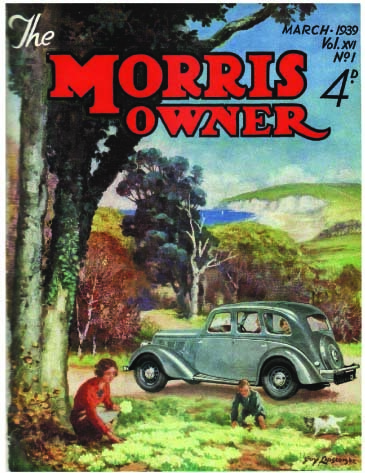 After the war his work appears in The Motor Owner from 1919 onwards but also we see him working for The Autocar with at least 40 front cover designs between 1922 up to 1930 He was probably working as a freelance designer at that time. Guy Lipscombe seems to have moved away in the 1930’s from motoring art as a major income. He must have been a fairly prolific artist as paintings regularly appear in the auctions. These are a range of topics such as country cottages, gardens, shipping and portraits, most of these being oil on canvas. Guy Lipscombe used a variety of media for his early works such as charcoal, watercolour and oils. The art is normally signed Guy Lipscombe in script but early postcards have been seen signed simply Guy L. The true influence of Guy Lipscombe on the UK motoring art scene is not fully understood and he must have been the man by which other artists (possibly Crosby) set their standards. It is unfortunate that Guy Lipscombe has not been recognised for his true contribution and the quality of his art. Photograh of Lipscombe and some of his drawings. Georges Boillot driving a Peugeot winning Mont Ventoux Hill Climb in 1912.